I have been turned. Having being derisive and scathing about soundbars for as long as I can remember, my opinion has been massaged by the performance and spousal acceptance of one of the breed. You see, soundbars have not and never will deliver proper home cinema sound. They are too small, the left and right channels are too close together and those that do try to integrate rear effects never quite succeed. Yet they are damn popular with the proletariat. 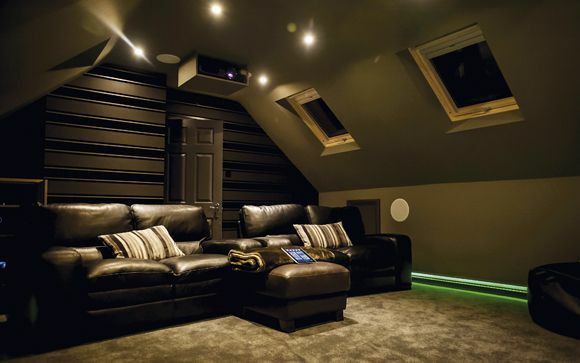 The UK soundbar market has been doubling in value every year for the last five years and in 2013 is expected to crest the key £100m mark. That is a whole lot of soundbars. These days you can’t move for pundits proclaiming the death of physical media. Whatever your passion, be it DVDs and Blu-rays, CD and vinyl, or coffee table tomes, the connected mantra is largely the same: bin what you own and don’t buy anything that requires a bag to carry it in. This is shockingly bad advice. But I nearly fell for it. Let me tell you about embargoes. Essentially a gagging order, they’re routinely disgorged by companies in an attempt to control the flow of information that they give to journalists, usually so they can stage-manage product launches or coordinate marketing. Occasionally they're useful, allowing magazines like the one you’re reading to get an early heads-up on new products and technologies. More often, though, they're pointless, irritating and dispensed with little real thought about the practical consequences. The first rule of any embargo is that someone (else) will break it. Virtual Reality makes me sick. No, it really does. I've donned VR goggles more than once, and more than once I've ended up looking for a brown bag afterward. There's something about the disorientating sense of motion and the sensory deprivation of VR that snafus my equilibrium. I reckon I'm not alone in this. Yet this hasn't prevented VR being hailed as The Next Big Thing. Beyond all the rights deals, compliant hardware, giant servers and subscription fees, there's one thing that makes streaming TV and movie content possible, and it's your internet connection. In an answer to a reader's letter in a recent issue I said I didn't want to be a 'Netflix knocker'. And truly I don't. But the American streaming giant is certainly making it pretty hard work. Here's why. Flicking through one of the Sunday broadsheets earlier this year I came across a piece by the paper's TV critic, taking a pop at HBO's fantasy show Game of Thrones. With my own opinion being so far opposed to that of the writer, I was actually rather intrigued by the prospect of reading what I assumed would be a thoughtful and intelligent critique of the hit show. How wrong I was. Don't throw out those rusty film cans! Towards the end of 2013 the Library of Congress released a new study by film historian and archivist David Pierce, exploring the survival rate of silent films made in the United States between 1912 and 1929. It made for extremely bleak reading.